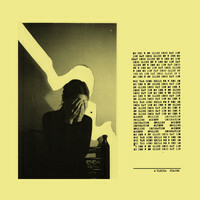 Skilled at satisfyingly spaced-out and reverb-drenched art-rock, Ulrika Spacek are one of the best British bands in recent years. We sat down with frontman Rhys Edwards to discuss the band’s beginnings, finding inspiration at 5am, and the DIY recording methods behind their excellent second album, Modern English Decoration. 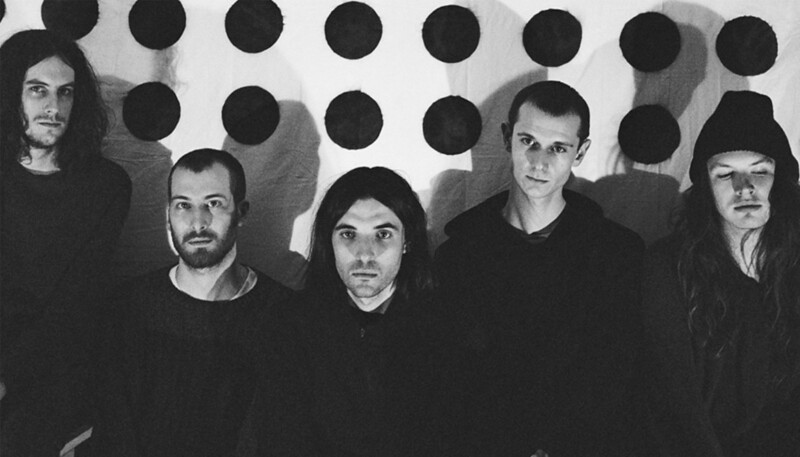 So you formed Ulrika Spacek in Berlin. Were you living there at the time? Yes, but only for a short while. When I moved to Berlin, Rhys [Williams], who plays guitar, took my room and he took my job in London, and then he came to visit me in Berlin. We hadn’t seen each other for a long time and we just said we would start a band. It was quite weird in that we named the band the actual night that we said we were going to form a band, and we had a name and an album title, and we even had the artwork because I’d done a collage the week before. So, before we’d even written any songs, we knew visually what it was going to be like. So that particular night when we formed the band, a few hours before we were just joking about god-given names. One of the names was Sissy Spacek and another was Ulrike Meinhof, and then we made up Ulrika Spacek as a joke. And then, about four hours later when we said we should form a band, that was the thing that was on the end of our tongues so we didn’t really have any time to ponder and over-think what the name should be. It just felt right from the start. Presumably you and Rhys bonded over shared musical influences? Well, with me and him particularly, we’ve listened to music together for many years – and a few of the other members of the band we’ve known for many years as well – so we had a shared taste in many ways. But I would say that taste’s quite broad. And I guess when we formed the band we didn’t really have to have any conversations about what it sounded like, you just write what comes from you. Obviously, that comes from something else too because nothing’s made in a vacuum, but the less that’s talked about, the better. So just the two of you recorded your debut album? Me and Rhys started the album with a drum machine, but then very quickly after we got Callum [Brown] to play drums. So then we recorded his drum part at the end, which is a very strange way of making an album. At the same time, we started getting offers to play gigs so that’s when we formed the band with Ben [White, bass] and Joe [Stone, guitar/keyboard]. So they were around but we had kind-of finished the record. And then we toured that album, and when we did our second album they were there from the start. Do you still share a house? How is it living and working together? Three of us live together. Initially, it was just me and Rhys and then Ben joined about a year after that but I mean, the other two live close. But my experience of living with friends is the best. We get passive-aggressive, don’t get me wrong, but I’ve never had any problems in a housing environment with friends. I think we’re going to have a little break from each other, because obviously we’ve been touring a lot together and making an album before that, so I think before we start doing our next album we’re definitely gonna step out of the house for a little bit and then come back, because it can get too much. I think we lost a bit of productivity, but at least we know how to rectify it. You didn’t take any time out between your debut and Modern English Decoration, right? Not really, no. We started work on this record before the first album was even out, so we had no expectations about what was going to happen, and generally had a really fun experience making a new piece of work that has its own character and flow. I think if we were at a point now where we were trying to write our second album we would probably have found it a lot harder because you suddenly have some sort of expectation. So I’m really glad that we got two records out that I think are different but complimentary. Other than working collaboratively for the first time, how else did the creative process evolve for Modern English Decoration? I think we have a way of doing albums up to now, where the only pattern we’ve had is that the opening track is the first song we write. So we did that and then very much talked about where we would go on the next track. But other than an overall change, I think the two records in the future will be seen as a brother and sister. They’re different but they are complimentary, and I think what we do in the future now will branch out a little bit. Will that involve recording in studios? I think we’ll start doing stuff in studios but we’ll always mix in the house because, the thing is, we’ve learned a lot. We’d never recorded before and doing this we’ve learned how to make records. But when you’re capturing a sound in the same room every time, you’re going to get the same sort of atmosphere, so we’re now thinking about different rooms in which we can record things. Even though you see the first two records as related, how do you think you’ve grown? I think the first album is a lot more fuzzy, and was us setting our blueprint of lots of different directions that the band has. The second album was more refined really; much more characterised by this chiming lead guitar thing. What we wanted was for anyone listening to one of the songs to have an idea it was off the second album. Thematically, where were you looking for inspiration? I think with the setting of [Modern English Decoration] was very much rooted in the living room, so it’s a bit of a 5am record, really. The lyrics were written in the living room after parties, when it starts becoming a bit weird, and people’s faces start becoming ugly when the drugs wear off, and stuff like that. So it’s definitely set in that time, and a lot of the lyrics are referencing things in that living room. There is some sort of communication between recording a song in a room and then the lyrics being about that room; there must be some sort of magic in there. The reviews for your new album have been overwhelmingly positive. What’s your relationship with criticism? It was strange with the first album: I remember meeting our manager for the first time and we were joking, thinking that first album would be reviewed well but it wouldn’t sell anything, and it kind-of worked the other way, where it sold much more than we thought but didn’t really get reviewed. I mean, it’s easy to say we don’t read our reviews but you have a phone bleeping at you when a new one comes up. I’m happy to say that the reviews that have been more lukewarm haven’t really got to me, in the sense that I haven’t really agreed with the criticism. Because often the bad reviews are the ones that make the most sense and hurt the most because you know your weaknesses deep down. How soon are you planning to begin work on the next album? We kind-of have started. We had an idea which we’re going to do, and we’re going to start recording in September. We’re quite content – we’ve done two albums in two years, so we’re not in a rush – but I think it would be good to get the process started, because I don’t like the idea of sitting around for too long doing nothing. It seems more daunting then and you start over-thinking things. It’s good to hit the ground running. What’s been on the stereo this year so far? We’ve listened to a lot of Portishead, which is a band which slipped under our radar growing up, though we respected them from afar. So yeah this last year we listened to a lot of Portishead, and a lot of Slint. I tried to listen to Slint when I was younger and it didn’t make any sense so it’s quite nice when something suddenly clicks. In terms of new bands, we listen to Omni and Ought.